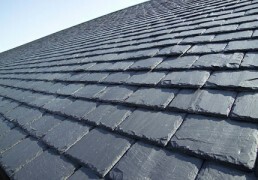 The traditional material for roofing, natural slate is hard to beat for both performance and aesthetic appeal. Importing Natural Slates direct from the largest quarries in Spain, Casey’s are able to supply a variety of slates authorised for use by the Local Authorities and National Parks at the best possible price. As on of Europe’s leading slate producers, we have a long tradition when it comes to selecting, mining and processing slate. slate mine, “La Fraguina”, as well as open pit mines. 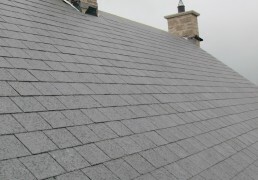 We rely on modern technology, from processing the slate to producing the finished tiles for roofs and facades. The strict quality control applied to our slate is based on the knowhow and experience we have required over many decades. Blue Green in colour, with little natural pyrite and a textured finish. This slate will compliment any building.